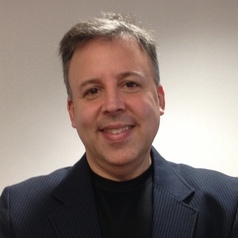 Dr. Mark R. Meckler, is Associate Professor of Strategy and Leadership at the University of Portland, and Co-Founder & Vice President of Strategy and Curriculum at CRAFTINGASTRATEGY.COM. He has lived, served and traveled all over the world. Dr. Meckler is a classically trained saucier, and a former chef and food & beverage manager. Dr. Meckler also worked in investment banking at Baring Securities in New York City as a closed-end fund analyst. He began his teaching career in New York State, and continued teaching throughout his doctoral program years, and for 16 years as an assistant and an associate professor. Dr. Meckler has published numerous journal articles related to strategic management, truth-telling, controlled innovation, human motivation, and cross-cultural management. He also writes extensively for Crafting A Strategy. Dr. Meckler now lives in Portland, Oregon metropolitan area with his wife and three children.